I was at the bank, waiting for my turn to open a new account. When the lovely middle-aged lady at the reception counter asked what my name was, I didn’t hesitate to reply “Mia”. Simple, quick, three letters, and I am saved from an awkward situation that I got so fed up with in which I have to spell out the twelve letters of my ‘assigned’ first name. However, something about the way that English name – given to me by myself – sounded then lingered on my mind. And it hasn’t loosened its grip since. I came home, thinking hard about it, pondering over and over again, until I finally found the answer. It was not the name that bothered me, but the thoughts and reasons I had behind it. When I first came here, I thought I would go with the first part of my real first name, seeing it’s easy enough for non-Vietnamese to pronounce correctly. But I ended up not doing it, since it’s something only my family and my closest friends call me. Some of my Vietnamese friends go by their last name, but mine would sound like dough, and be honest, who – no matter how much of a sweet tooth they have – would want their family name mistaken with a kind of batter? So, I named myself Mia, after my once-favourite book character. M-i-a, three simple letters, two simple syllables, what’s not to like about that? Just for some background information, I have nothing against going by an English name when you come to an English-speaking country, no matter how multicultural that country might be. It would surely make it easier to strike a conversation with any native speakers or anyone from another country when you can get through the self-introduction part without getting stuck, awkwardly and tiringly, for five minutes at the what’s-your-name part. Also, it would make both sides feel less afraid of incorrectly pronouncing the other’s name – I’m fully aware that some (if not the majority of) Asian names can be hard for non-Asian to say. But the problem is, I was giving up more than just my real name. I was so afraid of being associated with the common stereotypes about Asian, that I would take pride in being complimented on my non-Asian accent. I would take pride in being accepted and liked by domestic students. I would take pride in being mistaken for someone born here because I tried so hard to rid of any last hint of an Asian/Vietnamese accent. I would try to write in an “English” tone, and “English voice”. I was depriving myself of the joy and pride to be Asian, and to be Vietnamese. and I realized, I’ve been white-washing myself (in some way) so much that I was starting to lose parts of my true identity. It’s true, that when learning and using another language, we take on another identity, which means we can have a multi-identity, but it doesn’t mean giving up on our initial self. I simply didn’t realize that the two identities I have are not supposed to be opposite, fighting over the ownership of myself, but instead should be growing simultaneously, and be equally proud of. There are so many things I’ve been avoiding doing for so long in fear of proving the stereotypes right. And there are just as many things I’ve missed out on just because of that fear. I’ve been running so fast away from the stereotypes, I almost ran away from who I am. So, I’m Mia. And that doesn’t mean I’m not Minh Anh anymore. It’s never that way, never “one or the other”. 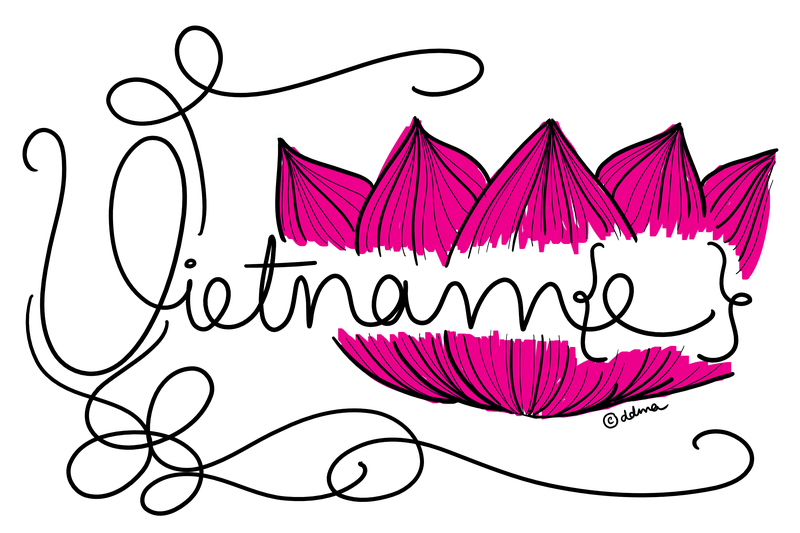 Because I’ve learnt that while an English name might save me a three-minute explanation to the bartender at the uni coffee shop about how my name is spelt correctly, it also costs me a part of my true, and proud, Vietnamese identity. Thank you for this powerful post. I don’t think I had heard the term white-washing in that sense before, but it’s really powerful to take us through your thought process of how you’re trying to make sure you don’t lose parts of yourself that you value as you grow. Beautiful beautiful post. I also have the same problem with my real name, because it’s not too hard to pronounce in general but hard to pronounce correctly. And about ‘white-washing’, I’ve consulted a range of sources related to it, and there aren’t really any universal definitions, but rather “personalized” and “contextualized” ones. Thank you again for your thoughts, I’m so grateful that this little piece of writing has made it to so many others. Identity is a complicated issue, and I appreciate your post for showing your path forward, and the struggles that identity and culture can impose on us. Good luck on your continued journey forward. Thank you for your kind words! I truly appreciate your time spent on reading this small piece of writing. I wish you all the best. A terrific post about the often invisible issues that affect international students – especially when they accommodate so well we don’t realise what this has cost them in terms of their identity. Thank you! I was simply speaking the truth, and turned out it resonated with so many others’ experiences 🙂 Thank you for spending some time reading my thoughts!